When your word can make or break a case, your credibility is vital. Without a way to demonstrate your mastery of digital forensics, it can be harder to defend your findings and present them with full confidence. The Magnet Certified Forensics Examiner (MCFE) certification is an accreditation that showcases an examiners’ expert-level competence with Magnet Forensics products to peers, internal stakeholders and external audiences, including legal teams or clients. Our certification program is free to users who have completed the prerequisite training courses. Choose what MCFE certification you want to achieve and learn what the prerequisite classes are needed. If you have completed these classes, fill out the form below to register. The prerequisite for MCFE — AXIOM is the successful completion of the AXIOM Examinations (AX200) course. Successful completion of the IEF Examinations (IEF200) course will allow you to apply for the MCFE – IEF certification. Would you like to have your certification status published? The Magnet Forensics team will confirm that you meet the prerequisites and have taken the appropriate courses. An approval email will be received with the link to the certification test site. Once you have logged in, you will obtain the test processing instructions and download images. You must download and build the case in preparation before initiating the certification examinations. Login to your Litmus account. You will have a 120 minute time limit. The passing score is 80% with 75 total questions total. If you pass the test, you will receive certification notice and your MCFE certificate via mail. MCFE certification is good for two (2) years. Prior to the end of the two-year certification period, students must complete a recertification test to be delivered within the same online environment as the original test. The recertification test is a 50-question test delivered over 90 minutes and requires at least an 80% score to pass. Prior to starting the test, students will be provided digital evidence materials to download and process within Magnet AXIOM. This test combines general knowledge about the use and functionality of AXIOM Process and Examine as well as practical-bases questions around the delivered evidence files. In order to qualify for the MCFE-AXIOM recertification, students only need to be a current valid holder of the MCFE-AXIOM. If the student’s MCFE-AXIOM certification has expired, they will have to take the original MCFE-AXIOM certification test over, passing with at least an 80% score. Students should receive a notification three (3) months prior to their certification expiring to give them time in order to prepare for the recertification. Successful completion of the IEF Examinations (IEF200) course will allow you to apply for the MCFE – IEF certification. You will need to login through your Litmus account. You will have a 120-minute time limit to complete 75 total questions. The MCFE Examination is comprised of two parts. A set of knowledge-based questions around the functions and use of Magnet AXIOM and a practical-based set of questions using a prepared evidence set. A pass score is 80% or higher. If you fail the test, you are invited to retake it as soon as you feel ready. If you fail a second time, you must wait 60 days before re-applying to take the test one more time. Are there practice exams I can take? The material will be based on the prerequisite course, so any information from those courses may be included. There is no practice exam, but you do have the opportunity to retake it. The exam, and all subsequent certification is free. 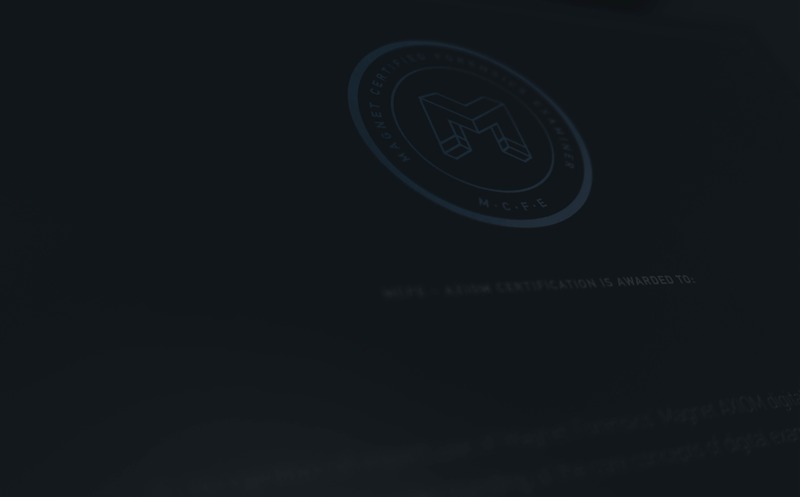 How long is the MCFE certification valid? It is valid for two years. Upon expiration, you will receive a notice for renewal.